Wisconsin’s largest tourist attraction is truly fantastical, mythical, enchanting, odd, bizarre, mystical and opulent! The architectural namesake is a large draw, yet it is the overall wonder and amazement of the hundreds of collections of the home’s creator, Alex Jordan, that sticks in our minds. But there are too many to recall! For the House on the Rock, we worked along with Montzingo Associates, creating a museum quality exhibition album. 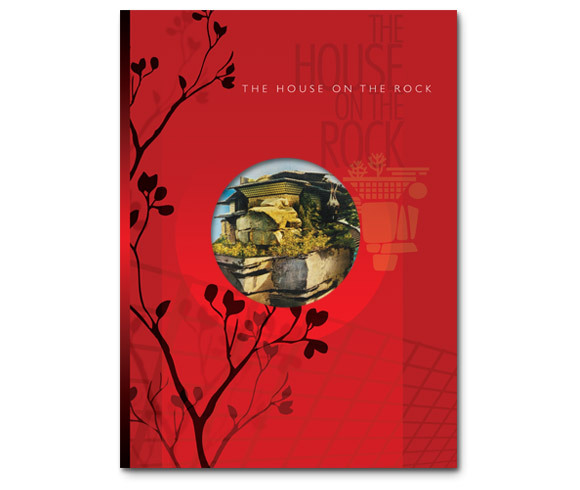 This 200+ page book is designed with overlay pages, die cuts, embossed designs, and contrasting varnish treatments that make it as unique as the House on the Rock itself.